This is so easy that I shouldn’t even explain the method :-). But this is a very good and healthy option when you leave on your own so it needs to be added of course. 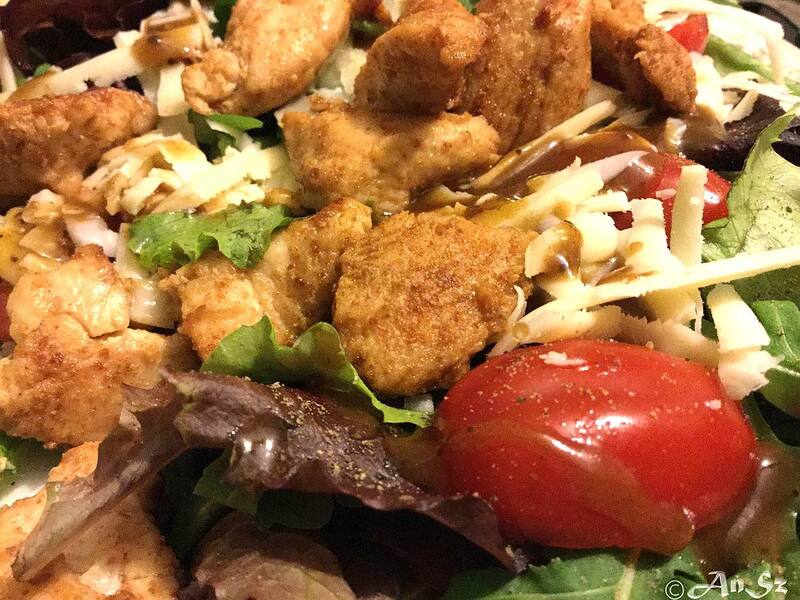 I love salads and with some chicken they are filling too. So here you are, my favourite chicken salad which takes max 20 minutes! Start with the salad of course. Make a nice salad mix with all the fresh ingredients and grate some cheese. Cut the chicken if it’s fresh, and cook it on some oil with some salt and pepper and any chicken mix (if you have some, I have one for chicken and one for veg). I like to use soya sauce sometimes instead of salt. Makes the chicken softer. And that’s it! I use either sweet chilli sauce or Wagamama – Spicy chilli, coriander and ginger. If I fancy something less intensive, I use some olive oil and vinegar mix or some balsamic vinegar glaze. I can’t get bored of it!